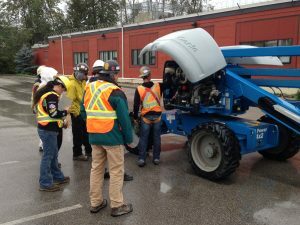 The Finishing Trades Institute of British Columbia (FTIBC) administers the Safety Passport Program for IUPAT DC38 members. 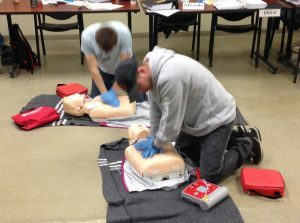 The FTIBC offers safety training courses throughout the year in the evenings and on weekends. In order to improve the delivery of safety courses to members, the FTIBC now has an online registration system that allows members to register for courses that fulfill their safety passport requirements. Members can register when it is convenient for them 24/7 from any computer or mobile device. 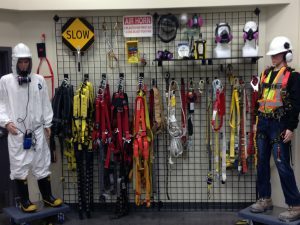 Just log on as a Member and select the Register for a Safety Course button to see a list of courses currently offered. When you enroll, you will receive an automated confirmation of your registration and will be sent a reminder 72 hours before the commencement of your course.